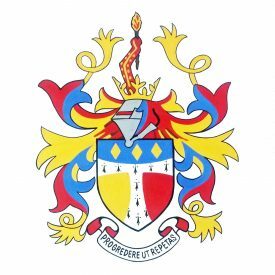 Our Family History Society is the principal genealogical and heraldic society for the counties of Staffordshire, Warwickshire and Worcestershire. This includes the areas of ‘old’ counties, as they existed before the major boundary changes of the 19th and 20th centuries, as well as the areas brought into them by those changes. 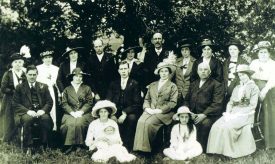 Our Family History Society is the primary genealogical group for all of northern Warwickshire - based on the old "shire" county boundary. 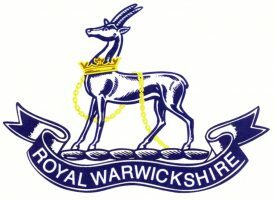 The Society encourages all with links to the area to join - whether distant or locally based. Help desks are run in several local libraries and online where we particularly try to assist members living out of the area. There is always time for informal help at regular meetings during refreshment breaks. A website for those who are interested in canal and river boatmen. 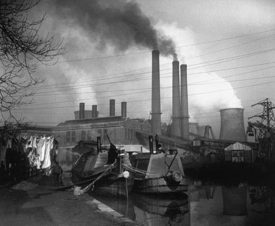 Uses newspaper articles to detail the lives and work of canal boatmen, and aims to help those trying to trace their canal ancestors. 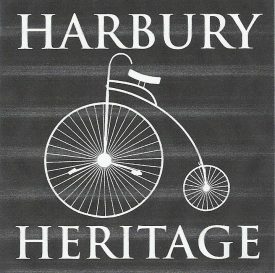 The history society collects and researches the history of our village; we provide regular meetings with speakers and outings on historical topics. 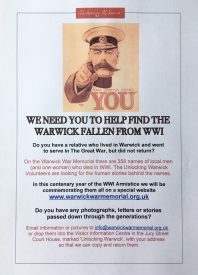 The project will serve as a permanent resource for schools, university projects, social historians and local people to understand better the sacrifices made in Word War One by a relatively small county town. 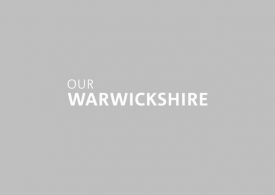 Warwickshire Library and Information Service offers library services to anyone living or working in Warwickshire. Membership is free. Services include access to a wide range of fiction and non-fiction material for all ages in large print and audio. Books in languages other than English are available along with e-books and e-audio books. Books can be ordered and renewed on-line, 24 hours a day.